Wolf Commercial Real Estate, the leading South Jersey commercial real estate brokerage firm, is the partner to turn to for Southern New Jersey medical office space. We are experts in South Jersey commercial real estate listings and commercial real estate services, matching buyers with sellers and owners with tenants locally and throughout the United States. The team at our Southern New Jersey commercial real estate brokerage firm provides ongoing detailed information about South Jersey medical office properties to our clients and prospects to help them achieve their real estate goals. At Wolf Commercial Real Estate (WCRE), our Southern New Jersey commercial real estate services encompass the highest quality of service, proven expertise, and a total commitment to client-focused relationships. 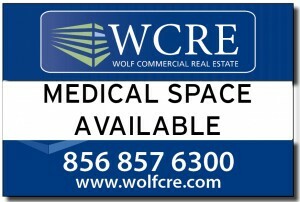 Wolf Commercial Real Estate currently has several South Jersey medical office properties for sale and lease. The current state of the South Jersey commercial real estate market is creating fantastic opportunities to lease or purchase Southern New Jersey medical office space. If your medical practice is looking to expand into new South Jersey medical office space, this is the time. 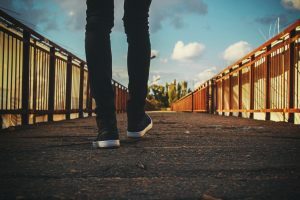 Market rates are favorable and WCRE has landlords who are in search of reputable medical practices that will be good clients for years to come. Whether you are looking for new Southern New Jersey medical space to lease, sell or purchase or are seeking tenants for your available South Jersey medical office space, WCRE is the South Jersey commercial real estate broker you need. With an intensive focus on our client’s business goals, our commitment to community and our highly personal approach to client service, the team at our Southern New Jersey commercial real estate brokerage firm is creating a new culture and a higher standard in representing South Jersey medical space for lease or sale. As experts in South Jersey commercial real estate listings and commercial real estate services, Wolf Commercial Real Estate goes well beyond simply helping with property transactions. 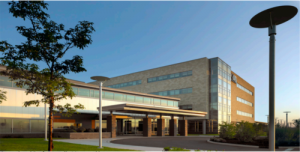 As the foremost South Jersey commercial real estate brokerage firm, WCRE serves as the advisor and strategic partner that is invested in the long-term growth and success of your South Jersey medical space. We learn about your real estate goals and make them our own, creating an enduring partnership. The team at our Southern New Jersey commercial real estate broker age firm will help you find the medical office property that best suits your needs. Our South Jersey commercial real estate professional then ensure that the sale or lease terms of your contract work hand in hand with your commercial real estate goals. At Wolf Commercial Real Estate, we partner with our clients from the beginning of the relocation analysis process to the end in order to facilitate a smooth transition. For medical office property owners looking to sell or lease their Southern New Jersey medical space, the team at our South Jersey commercial real estate brokerage firm has developed a defined marketing process that we tailor to each property and sub-market. Our proven marketing strategy works effectively to efficiently match buyers and tenants with available Southern New Jersey medical space for sale or lease. The Southern New Jersey commercial real estate market is providing exciting new opportunities for South Jersey medical office space right now. For more information, please contact Jason Wolf (856-857-6301; jason.wolf@wolfcre.com), Scott Seligman (856-857-6305; scott.seligman@wolfcre.com) at Wolf Commercial Real Estate, a South Jersey commercial real estate broker. Wolf Commercial Real Estate is a Southern New Jersey commercial real estate broker that provides a full range of Southern New Jersey commercial real estate services, marketing commercial offices, medical properties, investment properties, industrial properties, land properties and retail buildings for buyers, sellers, tenants and investors. Please click the links below for listings of Southern New Jersey medical space for sale or lease and other South Jersey commercial real estate listings from Wolf Commercial Real Estate, a Southern New Jersey commercial real estate broker. Wolf Commercial Real Estate, the foremost South Jersey commercial real estate broker with experience in South Jersey commercial real estate listings and services, now has available highly visible South Jersey medical space for sale or lease at 7811 Maple Avenue Merchantville NJ. This South Jersey medical building for sale or lease is near the Cherry Hill Mall and this South Jersey medical office space for sale or lease is ideal for medical, professional, or retail use. 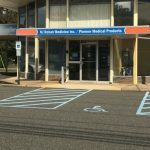 In addition, this South Jersey medical space for sale or lease at 7811 Maple Avenue Merchantville NJ would be a great fit for any general retail users or a child care center. This two-story South Jersey medical office building for sale or lease at 7811 Maple Avenue Merchantville NJ has 2,100 square feet of professional medical space for sale or lease in South Jersey on the first floor and 2,100 of professional medical space in South Jersey on the second floor. The asking lease price for this professional medical space in South Jersey is $14.00/sf gross plus utilities and janitorial. 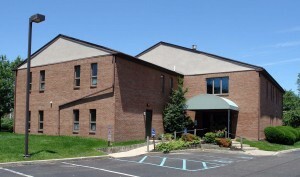 The asking sale price for South Jersey medical office building for sale or lease is $475,000. 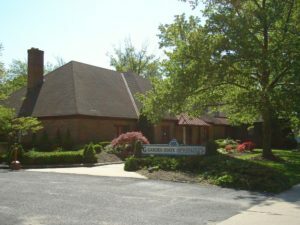 This South Jersey medical office building for sale or lease has building and monument signage available. This South Jersey medical building for sale or lease is being offered for immediate occupancy by Wolf Commercial Real Estate, a South Jersey commercial real estate brokerage firm that specializes in South Jersey commercial real estate listings and services. This South Jersey medical building for sale or lease has frontage on both Maple and Haddonfield roads and this professional medical space for sale or lease in South Jersey is surrounded by many medical offices and retail facilities. This South Jersey medical office space for sale or lease has excellent access from Interstate 295, Route 73, and Route 70. There are 18 parking spaces at this South Jersey medical office building for sale or lease and nearly 280,000 people reside within five miles of this South Jersey medical office space for sale or lease. The average household income in that same radius of this professional medical space in South Jersey is $78,719. This professional medical space for sale or lease in South Jersey is now available through Wolf Commercial Real Estate, a South Jersey commercial real estate broker that specializes in South Jersey commercial real estate listings and services. For more information about this South Jersey medical space for sale or lease at 7811 Maple Avenue Merchantville NJ, or about any other South Jersey commercial properties for sale or sale or lease, please contact April Loomis (856-857-6308; april.loomis@wolfcre.com), or Ryan Barikian (856-857-6307; ryan.barikian@wolfcre.com) at Wolf Commercial Real Estate, a leading South Jersey commercial real estate brokerage firm. Wolf Commercial Real Estate, a full-service CORFAC International brokerage and advisory firm, is a premier South Jersey commercial real estate broker that provides a full range of South Jersey commercial real estate listings and services, property management services, and marketing commercial offices, medical properties, industrial properties, land properties, retail buildings and other South Jersey commercial properties for buyers, tenants, investors and sellers. Please visit our websites for a full listing of South Jersey commercial properties for sale or lease or sale through our South Jersey commercial real estate brokerage firm. This South Jersey medical building for sale or lease is one mile north of the Cherry Hill Mall and this South Jersey medical office space for sale or lease is ideal for retail, medical, and professional use. In addition, this South Jersey medical space for sale or lease at 7811 Maple Avenue Merchantville NJ would be a great fit for a child care center or any other general retail users. This South Jersey medical office building for sale or lease at 7811 Maple Avenue Merchantville NJ contains 2,100 square feet of professional medical space for sale or lease in South Jersey on the first floor and another 2,100 of professional medical space in South Jersey on the second floor. This two-story South Jersey medical office building for sale or lease has monument and building signage available. This South Jersey medical building for sale or lease is being offered for immediate occupancy by Wolf Commercial Real Estate, a South Jersey commercial real estate brokerage firm that specializes in South Jersey commercial real estate listings and services. This South Jersey medical building for sale or lease is surrounded by many medical offices and retail facilities and this professional medical space for sale or lease in South Jersey has frontage on both Maple and Haddonfield roads. This South Jersey medical office space for sale or lease is conveniently accessible from Route 70, Route 73, and Interstate 295. Parking is ample at this South Jersey medical office building for sale or lease with 18 spaces. Nearly 280,000 people reside within five miles of this South Jersey medical office space for sale or lease while the average household income in that same radius of this professional medical space in South Jersey is $78,719. Wolf Commercial Real Estate, a leading South Jersey commercial real estate broker with expertise in South Jersey commercial real estate listings and services, now has available premier South Jersey medical space for sale or lease at 109 East Laurel Road Stratford NJ. This South Jersey medical building for sale or lease is directly across the street from the Rowan University School of Osteopathic Medicine and this South Jersey medical office space for sale or lease also is near Jefferson Stratford Hospital. This South Jersey medical office building for sale or lease at 109 East Laurel Road Stratford NJ contains a total of 11,000 square feet of professional medical space for sale or lease in South Jersey. There are 4,400 square feet on the first floor of this South Jersey medical office building for sale or lease and 3,300 square feet of professional medical space in South Jersey on both the second and lower-lobby floors. The asking sale price for this professional medical space in South Jersey is $595,000. Please contact us for information about the asking lease price for this South Jersey medical office space for sale or lease. This South Jersey medical building for sale or lease is being offered for immediate occupancy by Wolf Commercial Real Estate, a South Jersey commercial real estate brokerage firm that specializes in South Jersey commercial real estate listings and services. 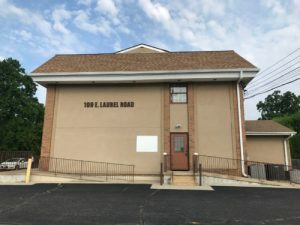 This South Jersey medical office building for sale or lease has building and monument signage available and this South Jersey medical space for sale or lease at 109 East Laurel Road Stratford NJ is a great fit for any professional or medical user. Also, this South Jersey medical building for sale or lease is surrounded by many medical offices and retail facilities and this professional medical space in South Jersey is also nearby many restaurants and banks. This South Jersey medical office space for sale or lease offers convenient access to the Lindenwold PATCO station and I-295. There is on-site private parking available at this professional medical space for sale or lease in South Jersey with a ratio of 4/1,000 sf. For more information about this South Jersey medical space for sale or lease at 109 East Laurel Road Stratford NJ, or about any other South Jersey commercial properties for sale or lease, please contact John T. Mozzillo (856-857-6304; john.mozzillo@wolfcre.com) at Wolf Commercial Real Estate, a leading South Jersey commercial real estate brokerage firm. Wolf Commercial Real Estate, a leading South Jersey commercial real estate brokerage firm with expertise in South Jersey commercial real estate listings and services, now has available premiere South Jersey medical space for lease at 120 Madison Avenue Mount Holly NJ. This well-located South Jersey medical office space for lease is the busy gateway corridor to downtown Mount Holly. This South Jersey medical space for lease at 120 Madison Avenue Mount Holly NJ is across from Virtua Memorial Hospital of Mount Holly. There are +/- 1,850 sf of medical space in South Jersey available in this South Jersey medical office building for lease through Wolf Commercial Real Estate, a South Jersey commercial real estate broker. This South Jersey medical space for lease is a Class A medical office buildout with three patient exam room and one private executive office. There’s also a dedicated lab area and billing, administrative, and filing areas at this South Jersey medical office building for lease. The asking lease price for this medical space in South Jersey is $28.00/sf gross plus utilities and janitorial. This South Jersey medical office space for lease is available for immediate occupancy through Wolf Commercial Real Estate, a South Jersey commercial real estate brokerage firm that specializes in South Jersey commercial real estate listings and services. This South Jersey medical space for lease is easily accessible from Route 38 and this medical space in South Jersey at 120 Madison Avenue Mount Holly NJ also offers abundant parking Suite signage is available at this South Jersey medical office building for lease, and there is easy access to local retailers and restaurants as well to as the nearby Crossroads Plaza shopping center. For more information about this South Jersey medical office space for lease at 120 Madison Avenue Mount Holly NJ, or about any other South Jersey commercial properties for lease contact John T. Mozzillo (856-857-6304; john.mozzillo@wolfcre.com) at Wolf Commercial Real Estate, a leading South Jersey commercial real estate broker. The Trump administration reportedly has put together preliminary lists of 50 targeted infrastructure projects. The document notes “15 bridges on I-95, Philadelphia” are part of the possible infrastructure plans. The report indicates PennDOT would be the authority, and also says the status of engineering and permitting is “in progress. Wolf Commercial Real Estate, a leading South Jersey commercial real estate brokerage firm with expertise in South Jersey commercial real estate listings and services, now has available premiere South Jersey medical space for lease inside the Virtua Health & Wellness Center at 239 Hurffville-Cross Keys Road, Sewell NJ. This well-located South Jersey medical office space for lease is part of a medical complex. 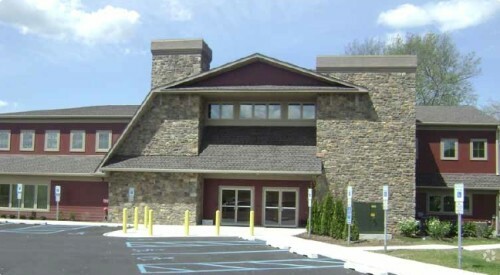 This class “A” South Jersey medical space for lease inside the Virtua Health & Wellness Center at 239 Hurffville-Cross Keys Road, Sewell NJ is strategically located in the heart of Washington Township, Gloucester County. There are seven suites of medical space in South Jersey available in this South Jersey medical office building for lease through Wolf Commercial Real Estate, a South Jersey commercial real estate broker. Three suites of South Jersey medical space for lease — Suite 125 (3,070 sf), Suite 145 (2,610 sf), and Suite 150 (639 sf) — are available on the first floor while the second floor of this South Jersey medical office building for lease offers Suite 215 (1,764 sf) and Suite 255 (1,163 sf). There also are two suites of medical space in South Jersey on the fourth floor — Suite 430 (4,692 sf) and Suite 460 (13,999 sf). Please call for information about the asking lease price for this South Jersey medical office space for lease inside the Virtua Health & Wellness Center that is available for immediate occupancy through Wolf Commercial Real Estate, a South Jersey commercial real estate brokerage firm that specializes in South Jersey commercial real estate listings and services. This South Jersey medical space for lease is in close proximity to the Black Horse Pike, Atlantic City Expressway and Route 55. This medical space in South Jersey at 239 Hurffville-Cross Keys Road, Sewell NJ draws just short of 2,000 visitors each day. This South Jersey medical office building for lease has directory signage available and this South Jersey medical space for lease is owned and managed by Welltower, Inc.
For more information about this South Jersey medical office space for lease inside the Virtua Health & Wellness Center at 239 Hurffville-Cross Keys Road, Sewell NJ, or about any other South Jersey commercial properties for sale or lease, please contact John T. Mozzillo 856-857-6304; john.mozzillo@wolfcre.com), Christopher Henderson (856-857-6337; chris.henderson@wolfcre.com) or Jason Wolf (856-857-6301; jason.wolf@wolfcre.com) at Wolf Commercial Real Estate, a leading South Jersey commercial real estate broker. Wolf Commercial Real Estate, a leading South Jersey commercial real estate brokerage firm with expertise in South Jersey commercial real estate listings and services, now has available South Jersey medical space for sale at 455 Route 70 West Cherry Hill NJ. This South Jersey professional medical space for sale is a highly visible building that is great for any professional or medical use. This South Jersey professional medical building for sale has +/-4,960 sf on the first floor and +/-682 sf on the second floor. The asking sale price for this professional medical space in South Jersey at 455 Route 70 West Cherry Hill NJ is $859,000. This South Jersey professional medical space for sale is available for immediate occupancy through Wolf Commercial Real Estate, a South Jersey commercial real estate broker that specializes in South Jersey commercial real estate listings and services. This South Jersey professional medical building for sale is fully fit-out as a medical office building and this South Jersey medical space for sale is in excellent move-in condition. This professional medical space in South Jersey is being offered for sale by Wolf Commercial Real Estate, a South Jersey commercial real estate brokerage firm with expertise in South Jersey commercial real estate listings and services. This professional medical space in South Jersey sits on .74 acres and this professional medical building in South Jersey is close to the Ellisburg Shopping Center, Ponzio’s Diner, and many other amenities. In addition, this South Jersey medical building for sale is conveniently located to I-295, a factor that adds to the accessibility of this South Jersey medical building for sale. With a large lot affording easy ingress and egress, parking is plentiful at this South Jersey professional medical space for sale at 455 Route 70 West Cherry Hill NJ. This South Jersey professional medical building for sale has prominent monument signage visible from both directions of traffic, and there is pylon signage available at this professional medical building in South Jersey. More than 301,000 residents live within a five-mile radius of this South Jersey medical building for sale. The average household income within the same five-mile radius of this professional medical building in South Jersey is nearly $89,000. For more information about this South Jersey medical space for sale at 455 Route 70 West Cherry Hill NJ or about any other South Jersey commercial properties for sale, please contact Jason Wolf (856-857-6301; jason.wolf@wolfcre.com) at Wolf Commercial Real Estate, a South Jersey commercial real estate broker with expertise in South Jersey commercial real estate listings and services. Wolf Commercial Real Estate is the foremost South Jersey commercial real estate broker that provides a full range of South Jersey commercial real estate listings and services, marketing commercial offices, medical properties, industrial properties, land properties, retail buildings and other South Jersey commercial properties for buyers, tenants, investors and sellers. Please visit our websites for a full listing of South Jersey commercial properties for sale or sale through our South Jersey commercial real estate brokerage firm. Wolf Commercial Real Estate, a leading South Jersey commercial real estate brokerage firm with expertise in South Jersey commercial real estate listings and services, now has available premiere South Jersey medical space for sale or lease at 3001 Chapel Avenue West, Cherry Hill NJ. This well-located South Jersey medical office space for sale or lease is located on the heavily traveled Chapel Avenue West in Cherry Hill NJ. This South Jersey medical space for sale or lease at 3001 Chapel Avenue West, Cherry Hill NJ is one mile from the $200 million Kennedy Hospital revitalization. There are more than 6,000 square feet of medical space in South Jersey available in this South Jersey medical office building for sale or lease through Wolf Commercial Real Estate, a South Jersey commercial real estate broker. This South Jersey medical space for sale or lease has 4,980 square feet available on the first floor and there is 1,300 square feet available on the second floor of this South Jersey medical office building for sale or lease. The asking lease price for this medical space in South Jersey is $16.00 sf/Gross plus utilities and janitorial; please call Wolf Commercial Real Estate for information on the asking sale prove. This South Jersey medical office space for sale or lease is available for immediate occupancy through Wolf Commercial Real Estate, a South Jersey commercial real estate brokerage firm that specializes in South Jersey commercial real estate listings and services. This South Jersey medical space for sale or lease is easily accessible from Route 70, Route 73, Route 38, I-295, the New Jersey Turnpike and Kings Highway. This elevator-served medical space in South Jersey at 3001 Chapel Avenue West, Cherry Hill NJ is a great fit for any professional or medical user seeking ample parking and excellent visibility. Monument and building signage are available at this South Jersey medical office building for sale or lease, and there is close access to medical and retail facilities, banks and restaurants to tenants of this South Jersey medical space for sale or lease. For more information about this South Jersey medical office space for sale or lease at 3001 Chapel Avenue West, Cherry Hill NJ, or about any other South Jersey commercial properties for sale or lease contact Jason Wolf (856-857-6301; jason.wolf@wolfcre.com) at Wolf Commercial Real Estate, a leading South Jersey commercial real estate broker. Wolf Commercial Real Estate, a leading South Jersey commercial real estate brokerage firm with expertise in Southern New Jersey commercial real estate listings and services, now has available premiere South Jersey medical space for sale or lease at 975 Tuckerton Road, Marlton NJ. This well-located South Jersey medical office space for sale or lease is located on the heavily traveled Tuckerton Road in Marlton NJ. This South Jersey medical space for sale or lease at 975 Tuckerton Road, Marlton NJ is directly across from the Evesham Township Municipal Building. There are 2,472 square feet of medical space in South Jersey available on the first floor of this South Jersey medical office building for sale or lease through Wolf Commercial Real Estate, a South Jersey commercial real estate broker and 1,818 square feet on the second floor. This Southern New Jersey medical space for sale or lease offers a Tenant Improvement package that is included for both sale and lease. This South Jersey medical office building for sale or lease is surrounded by a dense residential population. The asking lease price for this medical space in South Jersey is $25.00 sf/Gross plus utilities while the asking sale price is $667,000 for the first floor and $490,000 for the second floor. This South Jersey medical office space for sale or lease is available for immediate occupancy through Wolf Commercial Real Estate, a South Jersey commercial real estate brokerage firm that specializes in Southern New Jersey commercial real estate listings and services. This Southern New Jersey medical space for sale or lease is easily accessible from Route 70, Route 73, I-295 and the New Jersey Turnpike. This medical space in South Jersey at 975 Tuckerton Road, Marlton NJ also is within close proximity to the new Virtua Voorhees hospital. 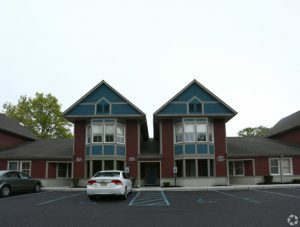 The Promenade at Sagemore also is located near this South Jersey medical office building for sale or lease. There are ample parking spaces available at this Southern New Jersey medical space for sale or lease at a ratio of 5.75/100 sf. For more information about this South Jersey medical office space for sale or lease at 975 Tuckerton Road, Marlton NJ, or about any other South Jersey commercial properties for sale or lease contact Christopher Henderson (856-857-6337; chris.henderson@wolfcre.com) or Jason Wolf (856-857-6301; jason.wolf@wolfcre.com) at Wolf Commercial Real Estate, a leading South Jersey commercial real estate broker. Wolf Commercial Real Estate is the foremost South Jersey commercial real estate broker that provides a full range of Southern New Jersey commercial real estate listings and services, marketing commercial offices, medical properties, industrial properties, land properties, retail buildings and other South Jersey commercial properties for buyers, tenants, investors and sellers. Please visit our websites for a full listing of South Jersey commercial properties for sale or lease through our South Jersey commercial real estate brokerage firm.